The fight between Floyd “Money” Mayweather Jr and Conor “The Notorious” McGregor is going to be one of the biggest sports betting events of all time. Largely thanks to social media, this fight has been pitched as a 'mega fight' that will smash records when it comes to fighter earnings, pay-per-view numbers and the volume of gamblers having a bet on the bout with the top boxing bookmakers. 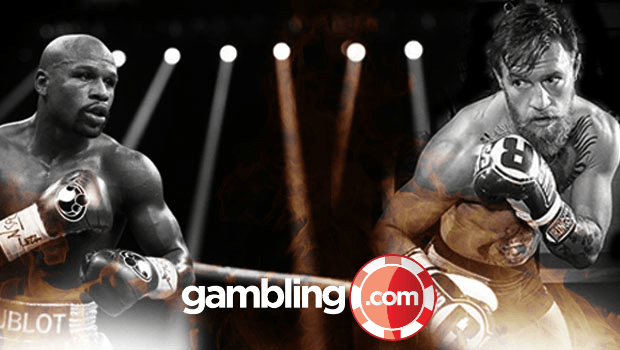 With so much pre-fight hype on the clash – that takes place at the T-Mobile Arena in Las Vegas on August 26, 2017 – analysing the fight from a betting value perspective needs extra scrutiny. The big money is piling on to Pretty Boy Mayweather, but are backers of Notorious McGregor taking a value punt? The following article is the ultimate guide to betting the McGregor vs Mayweather mega-fight! The Betting Background – Is it a Legitimate Fight? When Conor McGregor started hustling for a fight with Floyd Mayweather Jr a few years ago, despite only just starting to gain respect in the MMA ranks, he knew exactly what he was doing – taking a punt on creating a fight worth hundreds of millions of dollars. And despite the chances of it happening looking like a long-shot at the time, the (retired) Mayweather eventually saw the dollar notes flashing before his eyes. Mayweather ultimately decided he'd happily jump in the ring with a fighter whose talent doesn't impress him. Some betting experts and pundits hold the view that McGregor is a fake when it comes to his credentials – a good MMA fighter who just happens to be a world-class self-publicist, who has used social media to talk his way into a fight that will make him insane amounts of money. Even if McGregor does have the raw ability to challenge Mayweather, this fight is like Anthony Joshua taking the Klitschko fight straight out of the 2012 Olympics. So good is McGregor's publicity circus, that it's easy to forget just how kind Mayweather has been to anyone betting on him to win over the years. Many experts call him the best defensive boxer ever seen as well as the most accurate puncher in history. He’s fought 49, won 49, with 26 wins by knockout. Backers of Mayweather have struck bets with online bookies in recent years that included winning wagers against Manny Pacquiao and a young star in the shape of Canelo Alvarez. Despite some questions about Mayweather coming out of retirement at 40 years of age, online bookies such as Ladbrokes have him priced up at odds of 1/4 to win. "Conor McGregor’s great and all the respect in the world to Dana White and the UFC. But it’s very difficult to transplant an MMA fighter to boxing. McGregor’s much younger and he hits hard, but he’s going against the best boxer ever… Floyd’s the best counter puncher to ever live. You can’t hit Floyd. He’s too quick." Mayweather's outright win odds are skinny but look a solid bet to include in a multi-sport accumulator. He can be backed at 11/4 with Paddy Power to win on points or a decision, and 8/11 by way of KO or TKO. The fact that McGregor, 29, is likely to be the heavier man on the night, and has taken the punches of 200lb guys in MMA, suggests Floyd winning on points might have more value than the knockout. Does McGregor Have a Lucky Punch to Hurt the Bookies? While all the best online bookies may have Floyd Mayweather as a strong favourite to win the fight, with McGregor at odds of 10/3 with William Hill, there's no hiding the fact that they're still wary of a sucker punch from the hard-hitting Irishman. Paddy Power is offering odds of 4/1 on a McGregor victory via knockout or technical knockout. Similarly, it goes 3/1 for Mayweather to hit the canvas at some point during the first six rounds, and 5/1 in the opening four. Most analysts assume McGregor is going to try to take out Mayweather, since even the Irishman himself doesn't pretend to have Money's world-beating technical skill. You can back Mayweather to hit the deck but recover and win on points at 9/1 with Paddy Power, which is an interesting angle given McGregor will try to pin one on Floyd early in the fight. If Floyd does happen to hit the deck, and recovers, his technical skill is highly likely to see him win should the fight go to the scorecards. This is a pretty obvious prediction, given the 25/1 on McGregor getting the judges' verdict. Floyd Mayweather Jr versus Conor McGregor betting makes for an intriguing puzzle. If you think you can place a knockout bet, head to Ladbrokes now, where there’s an offer for new customers that includes a £5 free bet should your bet lose! If you live in Ireland or the United Kingdom and are actually considering heading to T-Mobile Arena in Las Vegas on August 26, 2017 to watch the major bout, be sure to check out our travel hack guide to the McGregor v Mayweather fight!